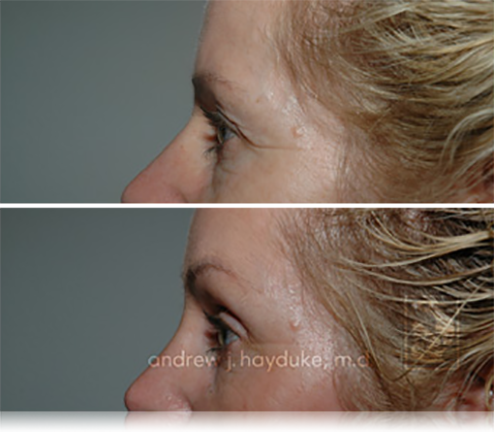 Endoscopic browlift with minimal incisions. 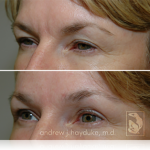 Note the elevation of the brows and increased smoothness of the entire forehead and glabella. 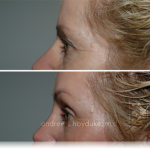 She also gained improvement/elevation of her crow's feet region. 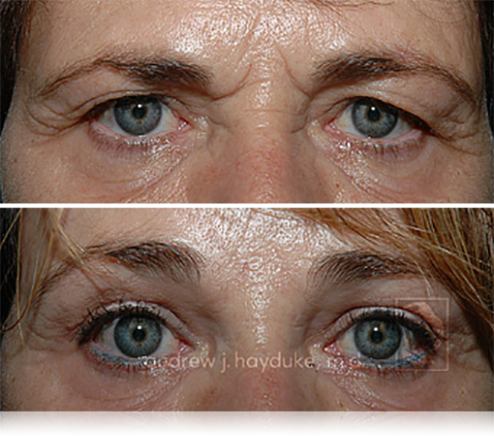 Her post operative appearance is clearly more attractive and youthful (eyelid surgery was not performed). 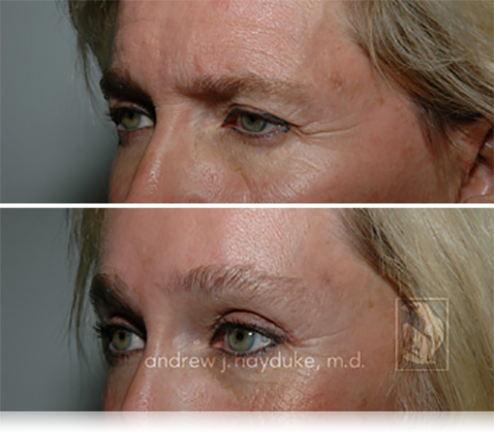 Endoscopic browlift with minimal incisions. 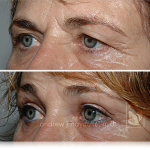 Note the somewhat tired, unbalanced, intense and heavy appearance of this client's eyebrows and upper eyelids before surgery. 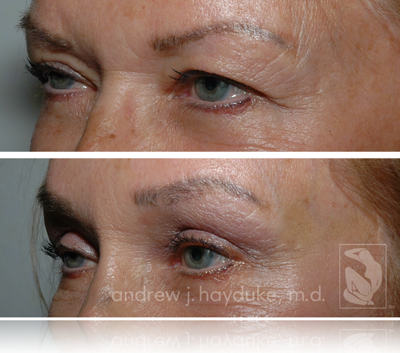 After surgery, this client appears younger, prettier and kinder (less intense). 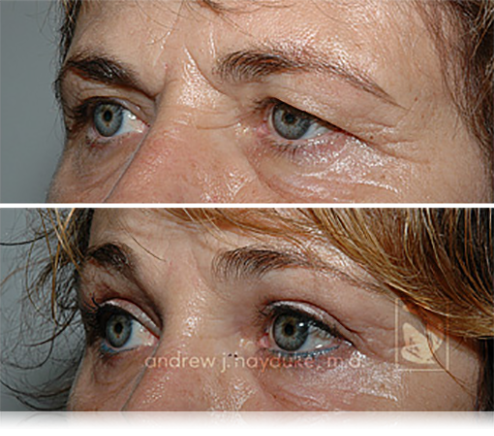 Her upper eyelids even appear less "heavy", although no actual upper eyelid surgery was performed. 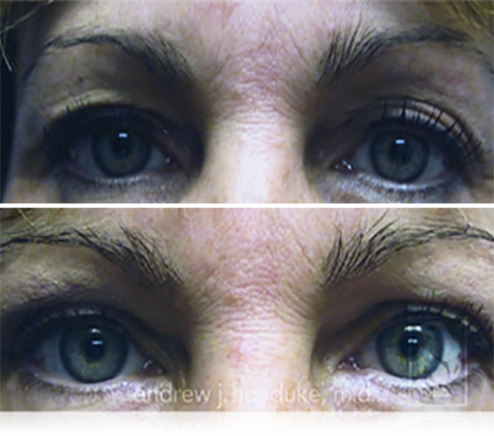 Endoscopic browlift with minimal incisions and upper eyelid blepharoplasty. Note the tasteful elevation of the eyebrows and improved smoothness of the forehead and glabella. 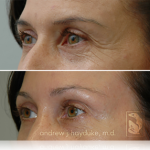 Her post operative appearance is clearly more youthful and attractive. 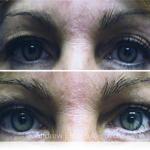 Upper eyelid blepharoplasty only (no brow lift). 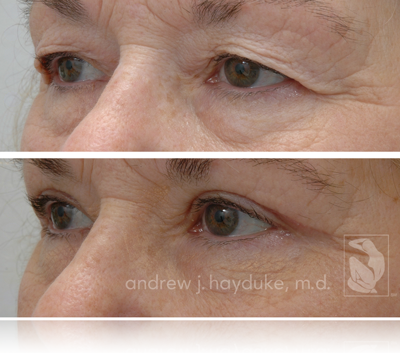 Note the improved definition and crisp upper eyelid crease appearance after surgery. 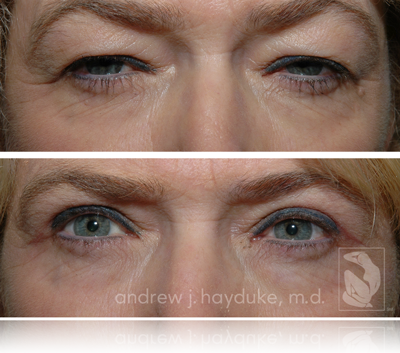 Endoscopic browlift with minimal incisions and upper eyelid blepharoplasty - revisional. 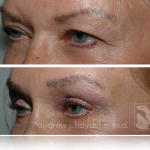 This client had a previous browlift and upper bleph in the past by a different surgeon. 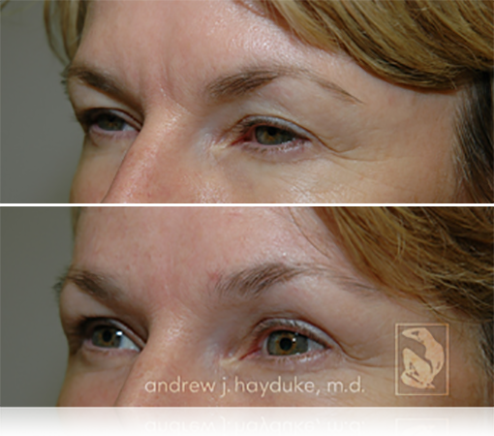 Note the elevation of the eyebrows and improved smoothness of the forehead and glabella. She appears younger, more energetic and less intense. 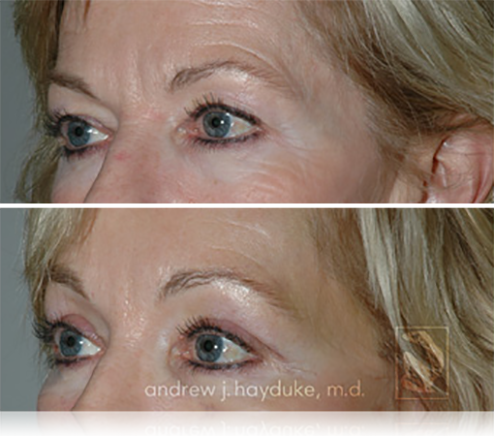 Endoscopic browlift with minimal incisions and upper eyelid bleph. 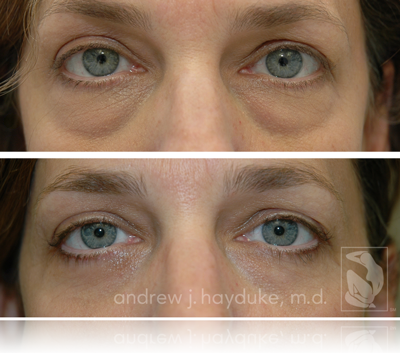 Note the crisp, clean, and youthful look of the eyelids and brows after surgery. 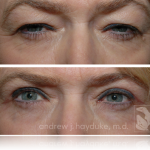 Endoscopic browlift with minimal incisions and upper eyelid blepharoplasty. 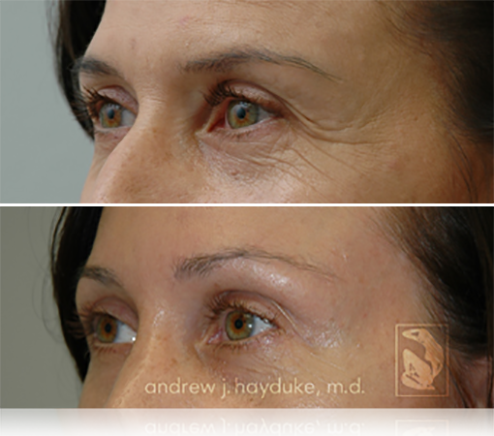 Note the prettier, less intense, and more youthful appearance after surgery. 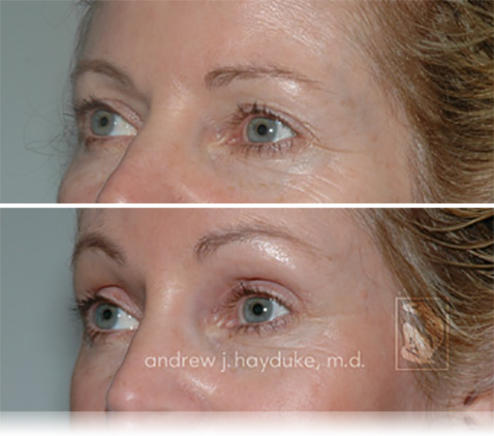 Endoscopic browlift with minimal incisions and upper eyelid bleph. 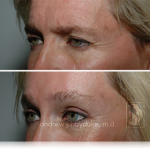 Post operatively she appears more youthful, less intense and more energetic. 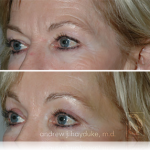 Upper eyelid blepharoplasty only (no brow lift). 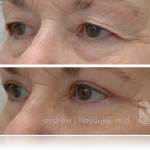 Note the improved youthful crisp upper eyelid appearance after surgery. 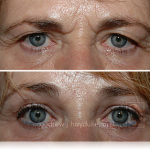 Lower eyelid blepharoplasty only. 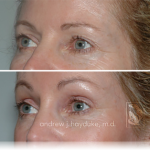 This young client was bothered by fat bulges of her lower eyelids that made her look constantly tired. 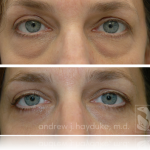 After lower eyelid fat removal (transconjunctival bleph), she looks significantly less puffy and well rested.